This July, Bobbi Brown introduces their foundation's new best friend. 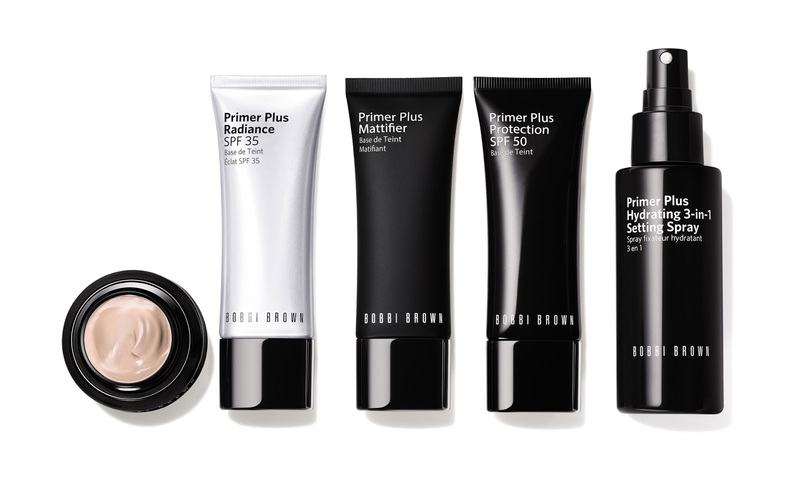 Say hello to the Primer Plus Collection. This primer collection is an ideal complement to their cult-favourite foundation, in order to create a flawless and refined makeup look. Which is comprised of Primer Plus Mattifier, Primer Plus Radiance SPF 35, and Primer Plus Protection SPF 50 and also to finish the adornment , Primer Plus Hydrating 3-in-1 Setting Spray. WHO : All skin types - anyone who wants flawless, even skin and is looking to target visible pores. WHAT : Primer collection that helps to prep and prime the skin, for a smoother, brighter and perfected finish skin, comes in three different formula for different skin types and concerns. WHERE : Apply all over face or only where needed. WHEN : Before foundation application. HOW : Just smooth it out all over the face with fingers. WHY : Primer collections consists of Primer Plus Mattifier (a skin-perfecting formula that visibly blurs the appearance of pores and reducing excess oil without sacrificing hydration), Primer Plus Radiance SPF 35 (the ultimate multi-tasker to create a lit-from-within glow) and Primer Plus Protection SPF 50 (sheer, fast-absorbing formula helps smooth the texture of the skin while layering detection-free sun protection under foundation). Lastly, Primer Plus Hydrating 3-in-1 Setting Spray adds a final beauty touch to set and refresh makeup.